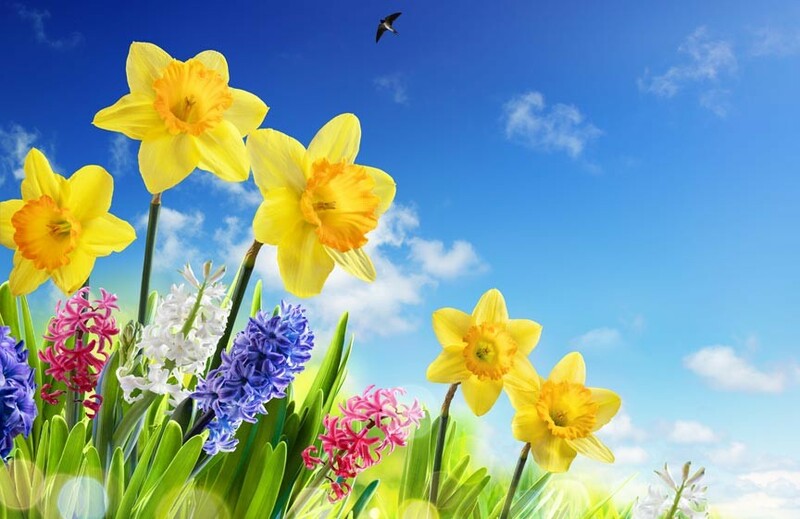 Come Celebrate Spring at Spohr Gardens Daffodil Days 2018! Spring is busy springing and we can think of no better way to celebrate that than with a visit to the annual Spohr Gardens Daffodil Days! Saturday, April 21st and 28th, 2018, 10am to 4pm. We here at The Captain’s Manor Inn count ourselves as fortunate that such a lovely attraction as Spohr Gardens is just 5 minutes from the door of our Falmouth B&B. The six-acre woodland garden is open year ’round – but spring is THE time to visit. Spring brings flowers by the thousands to Spohr Gardens. Daffodils first, then azaleas, rhododendrons, day lilies, and more follow. The annual Spohr Gardens Daffodil Days celebrates this stunning array of blossoms on the last two Saturdays of every April. Spohr Gardens Daffodil Days includes a variety of special attractions and activities. Guided tours of the gardens will be available, along with a plant sale. There will also be a book sale and a variety of activities for the kiddos, such as face painting and a ventriloquist. The April 28th date is set to include live music from The Falmouth Fiddlers (1pm to 3pm). The star of the show, however, will definitely be the gardens. Margaret and Charles Spohr created the gardens over the years, starting in the ’50’s. They accented their beautiful woodland property with delicate landscaping and a great variety of native plants. After the Spohrs passed, they left their gardens in a charitable trust so that they could be shared with the public. Visiting Spohr Gardens is like discovering a natural wonderland. Winding, grassy paths lead you through a tranquil setting of flowering plants, song bird filled woods, and down to Oyster Pond. Charles Spohr’s unique collection of historic artifacts, including an anchor from the HMS Bounty, are located throughout. Be sure to check out Spohr Gardens Butterfly Project, too. In 2016, Spohr Gardens set aside a special acre to breed native butterfly species to combat declining butterfly numbers. Two special greenhouses raise butterflies from eggs to maturity and release right on the property. The breeding program currently releases hundreds of butterflies a year, with a goal set on thousands. Release days occur in summer and are another great time to visit. The 2018 Butterfly Release Celebration is set for July 28th. Visit www.spohrgardens.org for more information. Cape Cod Spring Getaway Package! Enjoy complimentary wine, spring flowers, and a $50 gift certificate to a local restaurant when you book multiple nights at our Cape Cod B&B, The Captain’s Manor Inn! If you’d like to take advantage of this special Cape Cod Spring Getaway Package, just let us know during the booking process – we’ll do the rest! Be sure to check out our other Cape Cod lodging packages on the Captain’s Manor Inn lodging packages page. The Captain’s Manor Inn includes over an acre of manicured gardens that are just a short stroll from some of the area’s best restaurants, shops, museums and galleries. Choose from 7 plush guestrooms with private baths and enjoy perks like our in-house Café! Book your stay at The Captain’s Manor Inn today!